Sleep Inn & Suites-55 rooms plus other amenities – Three stories and 21,000 square feet lay behind the walls of Dayton’s newest hotel. 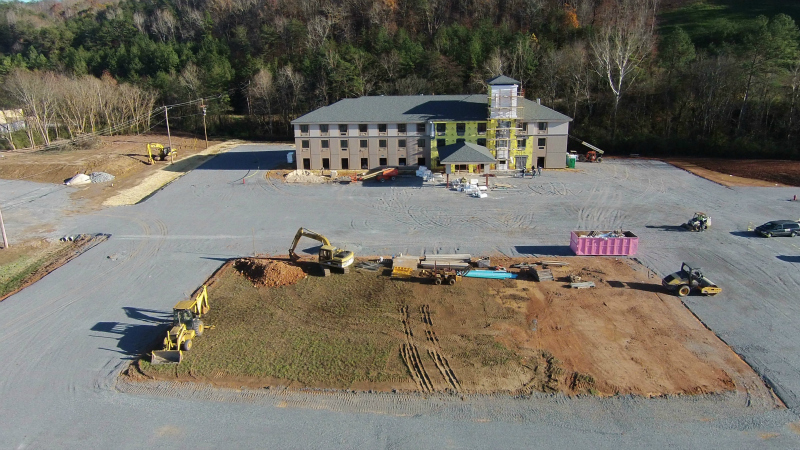 The Sleep Inn, located at 4450 Rhea County Highway is expected to open sometime in February, according to Dennis Van Meter of Van Meter Hotels LLC. Three stories and 21,000 square feet lay behind the walls of Dayton’s newest hotel. The Sleep Inn, located at 4450 Rhea County Highway is expected to open sometime in February, according to Dennis Van Meter of Van Meter Hotels LLC. 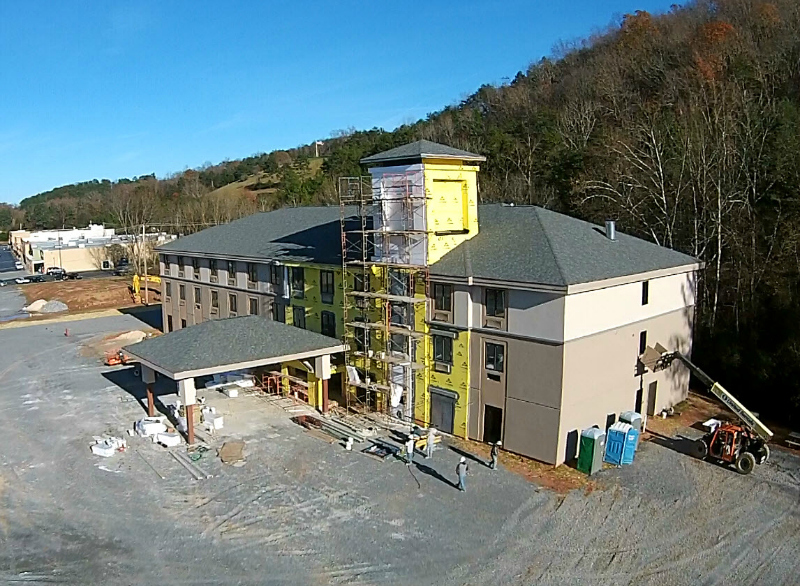 The hotel is under construction by RBA Construction, Inc. of Dayton, TN. There will be 55 guest rooms in all, with ten of them being suites. Other amenities include a physical fitness center, indoor heated pool, and a continental breakfast area. Van Meter states that the hotel will be a great asset to the community. Citing recent instances of visitors in town for the Bass Fishing Tournaments were forced to seek lodging out of town because there were no rooms available locally. It’s terrible to lose this tax revenue. You’ve got to have amenities such as lodging and restaurants available if you want to attract businesses and tourist to our town, Van Meter stated. In addition to the hotel, the property also contains enough land for future developments. Van Meter says that there are negotiations in progress to bring in two restaurants, however, they are in preliminary stages and therefore it is to early to announce any details at this time. Mr. Van Meter offered a heartfelt thanks to the City of Dayton for being supportive of this project.